Our handmade genuine London Blue Topaz ring is set in a Victorian-style engraved band in 14k solid white gold. Available in 14k white gold, yellow gold, or 18k gold (please allow 7-10 days for 18k gold). 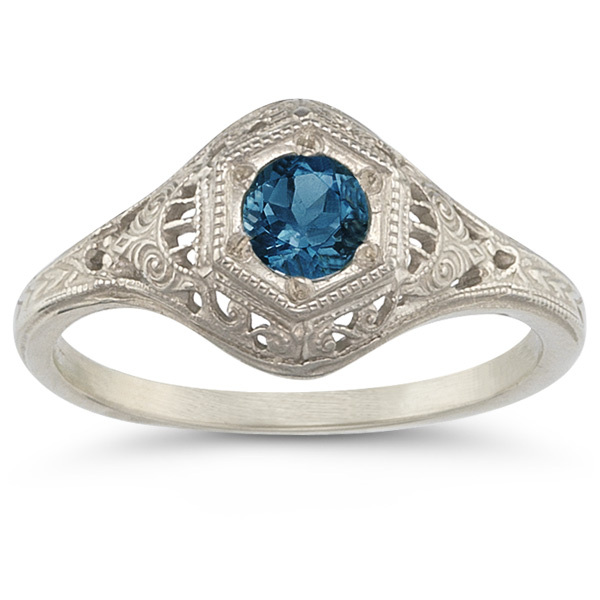 We guarantee our Victorian Etched London Blue Topaz Ring to be high quality, authentic jewelry, as described above.